The iconic Tide is now available for men! Sure to be an all-time bestseller. 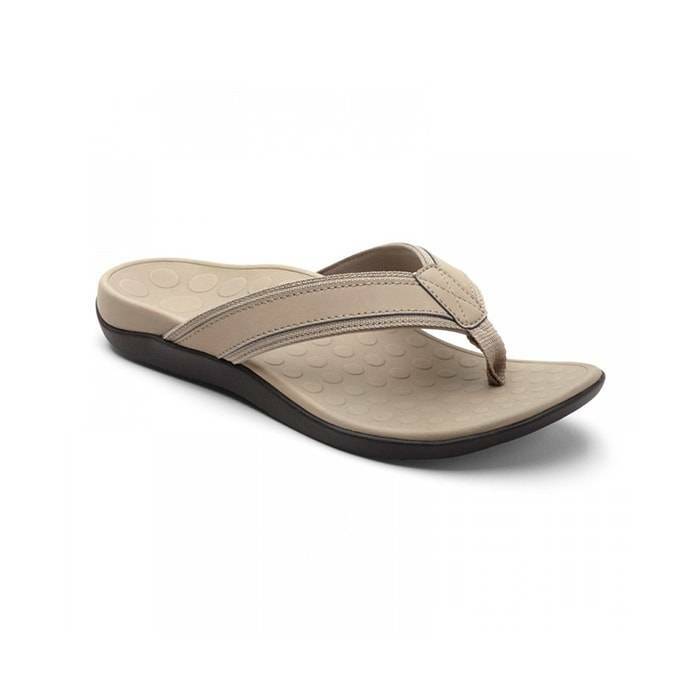 The Vionic Men’s Tide Taupe features leather trim and an updated tread pattern. Podiatrist-designed, biomechanical Tri-planar Motion Control footbed with a deep heel cup helps stabilize, support and realign the feet back to their natural position. A soft woven toe post and foam-lined strap ensure a comfortable fit. The Vionic Mens Tide Black comes with a lightweight, flexible medium density EVA midsole absorbs shock, reducing stress on feet, ankles and knees. A durable TPR outsole with patterned tread helps improve traction. The Vionic Tide is recommended by Dr. Andrew Weil and has received the APMA Seal of Acceptance.